There is perhaps no spirit whose classification is as complicated as rum. There are light rums, white rums, dark rums, gold rums, spiced rums, flavored rums, funky Jamaican rums, overproof rums, and more. The one thing all rums have in common is the plant they’re distilled from: sugar cane. And while most rums are made from molasses or other sugar products, some use only fresh-pressed sugar-cane juice, capturing the aroma, flavor, and sweetness of newly cut cane. In the United States, the most well-known of these fresh cane spirits is cachaça, which, depending on whom you ask, isn’t a rum at all. 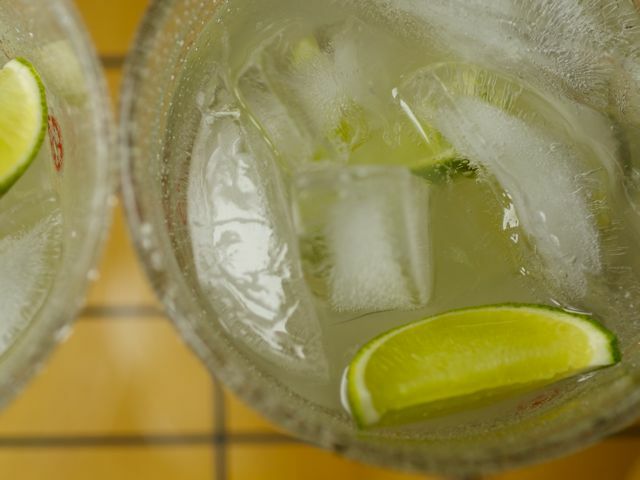 At home in Brazil, it’s considered a distinct spirit category. Under U.S. law, it’s classified as a Brazilian rum, much to the consternation of cachaça producers, who want to set their spirit apart. One producer, Leblon, even organizes “Legalize Cachaça” events to make a point (and to market its brand, of course). What makes cachaça distinct? It can only be distilled in Brazil, for starters. More importantly, it has to be produced from fresh-pressed sugar-cane juice. Cachaça separatists will also point out that lab analysis of cachaça yields a different chemical profile than that of rums, and that the yeasts, fermentation, and distillation are also unique. According to the Brazilian government, there are about 5,000 brands of cachaça, made by small producers throughout the country. Only a tiny fraction of these are available in the U.S., and many of these tend to be low-grade, industrial brands. A handful of quality brands have made their way to market, however, and they are worth seeking out. Among these are Sagatiba Pura, Leblon, and Boca Loca. One of my favorites is the newly arrived Novo Fogo, which has a big, tropical-fruit aroma. There are also a few aged cachaças that are perfect for sipping neat, such as Sagatiba Velha and Novo Fogo Gold. The classic cachaça cocktail is the caipirinha, a rustic and refreshing mix of cachaça, lime, and sugar, designated the official cocktail of Brazil. While I’m an advocate of precision in cocktails, this is one of the few I always make by feel. Muddle the lime and sugar in the bottom of a mixing glass, juicing the lime and extracting oils from the peel. Add the cachaça, shake with ice, and then pour everything into a rocks glass. This drink is subject to infinite variation by incorporating other herbs and fruits, so have fun exploring seasonal twists. The other major fresh-sugar-cane spirit is rhum agricole, the least familiar of the three major styles of rum found in the U.S. Light Spanish-style rum of the sort found in a typical mojito or daiquiri dominates our market, coming from Puerto Rico or the Virgin Islands. English rums tend to be darker, with rich, caramel flavors. And then there is rhum agricole, the fresh cane style perfected in the French Caribbean colonies. A classic rhum agricole cocktail features the same ingredients as the caipirinha, but is a little more restrained. It’s called the Ti Punch. Squeeze the lime into a rocks glass and drop in the spent fruit. Add the other ingredients, stir with ice, and serve. If a little more sweetness is desired, increase the amount of syrup to taste. Rhum agricole’s unique qualities make it an interesting component in more complex cocktails, too. This classically oriented Rhum Crusta comes from Rocky Yeh, who works at the acclaimed Vessel in Seattle and as a representative for Rhum J.M. and Clément, both of which he says go wonderfully in this drink. This is a nicely balanced drink, with the tartness of the lemon and the bitterness of the Peychaud’s offsetting the sweetness of the spirits. It’s a great drink with which to begin taking cane spirits beyond their frequent marriage to lime and sugar.